It's patch time again folks, and v1.1.6 is a beauty! 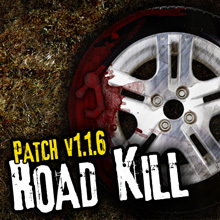 The most exciting addition is an entirely new game mode, called "Road Kill". Search the town and scavenge for parts for a broken-down vehicle. Your survivors will then have to fix the vehicle before they can drive themselves to safety. 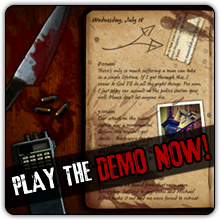 To support this new mode, we've not only added new content, but modified existing dilemmas and events to reflect the altered objective. The best thing about Road Kill is that rescue is now entirely in your hands -- the game won't end unless you drive out... or die. Even if you do make it out alive, relationships and the supplies you've gathered play an important role in just how well you do. How these affect the end result, well, you'll have to play and find out! Road Kill represents the largest addition to the game since its release; it really changes the way you approach the game. You'll have to re-examine those rock-solid strategies that served you well in Classic mode and try different tactics if you want to succeed. For players who like to share their games, you can now enable sharing functionality via the options menu. 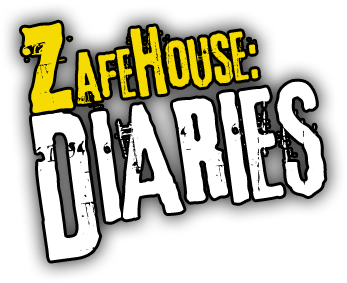 When active, hovering over diary entries will show a "copy to clipboard" button. This should make it easier to quickly paste text into forum posts or documents. We hope to expand this feature in the future to support popular social media sites. As usual, a complete list of fixes, changes and improvements can be found on the forums. Direct purchasers and GamersGate customers, the patch can be downloaded from our support page. For Desura users, please use the Desura client to update the game.